The day ticket of Gschwandtkopf lifts can be used on all the facilities of the Gschwandtkopf lifts of Seefeld and Mösern. Using it at the Olympia indoor swimming pool in Seefeld, you additionally get a discount of approximately 10% on the entrance fee. We require giving € 4,- in pledge on every ski card. Children up to the age of 5 travel for free if accompanied by their parents. We are your official outlet of the Tirol Snow Card. 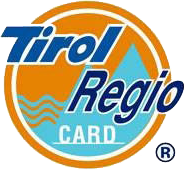 We are your official outlet of the Tirol Regio Card. The Point Card is valid for the facilities of the Gschwandtkopf lift, Rosshütte, Birkenlift and Geigenbühel lift. If you do not want to ski on every day of your holiday, you can book one of our flexible passes. 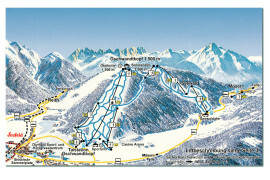 The Happy Ski Card is valid for the facilities of the Gschwandtkopf lift, Rosshütte, Birkenlift and Geigenbühel lift.